So you are thinking about a change. You feel like there is more out there than what you are experiencing. Maybe you are simply burnt out and want a fresh start but not sure how to pursue it. Perhaps you have taken the “leap” and are ready to get to the next level or maybe things are great and you need to keep momentum going! Regardless of where you are, you have arrived at the right place. Here you will find guidance and experiences from other successful entrepreneurs to help you make those all important decisions and provide you customized tools and concepts to help you live your entrepreneurial success story. Your personal experience is a just a click away. 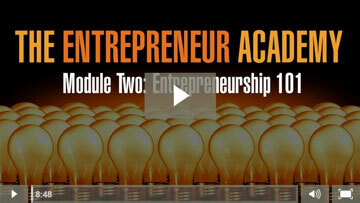 Welcome to The Entrepreneur Academy! Before you can begin creating your personal entrepreneurial portrait, it is essential to understand the artist. Why did you choose this path? What influences your decision making process? Why do you respond the way you do? What frustrates you and what gives you great joy? These are just a few of the critical questions you must know before you begin. This session breaks down the components of the most important piece to your journey…You! 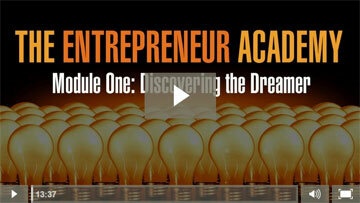 What is entrepreneurship and how does it apply to me? This session breaks down the term “entrepreneur” and its impact on you personally. You will get a very candid view of what successful entrepreneurship is and more importantly what it is NOT. The session concludes with an introduction to a new concept, E(f), the entrepreneurial factor. This concept will determine your commitment level to impacting the magnitude of your personal success story. Will you accept the challenge? Each of us possesses a desire to own, create and be recognized. It is part of our human DNA. 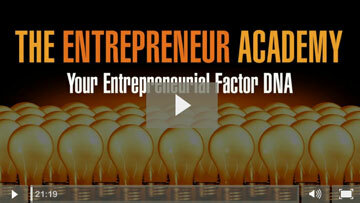 The manner in which we will pursue and achieve our personal entrepreneurial success story comes for four very specific entrepreneurial DNA factors. This session breaks down your traits, habits, decisions and defining moments; everything that has led you to where you are today and what will influence everything you will do moving forward. When you clearly understand how you arrived, you can positively impact where you’re headed! You must put first things first! It makes no sense to put a roof over a foundationless structure! This session provides the essential first things every successful entrepreneur possesses before they start. They are “must-haves” and without them your journey will be short lived! You will be given the opportunity to evaluate your current position and how to implement these “first things” into your road map to well equip you for the long haul! What fires you up? What keeps you going? 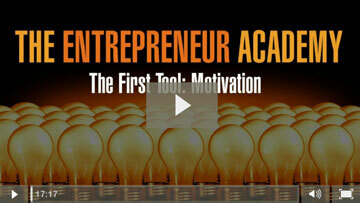 This session breaks down what motivation is and how to make it much more than a “buzz word”. You will learn the key to real motivation comes from inspiration versus obligation. Finally with the right approach, you can turn your motivation into real results utilizing the proven action steps provided. It’s time to MOVE! How do you define a productive day? One of life’s most precious commodities is time! What you do with it will unconditionally determine the outcome of your personal success story. This session introduces you to your time-worth account and how to maintain a high balance. You will be give four effective strategies to time management most importantly help you discover the difference in a busy versus a productive day! Every successful entrepreneur effectively utilizes this all important tool…people. People are without question the greatest asset afforded to any endeavor! This session will discuss how you surround yourself with the right people to help mentor, guide and provide valuable resources to help you along the way. The session concludes by discussing how important building great relationships with those who have the ability to help fund your journey and how to successfully prepare to acquire it before you need it! 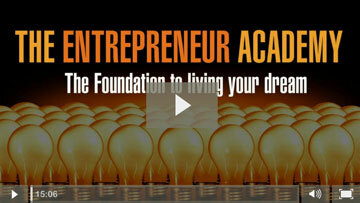 It’s time to take your entrepreneurial dream from the canvas and make it real! This session provides the key ingredient to successfully start living your story! The concept of true ownership is mandatory to your long term success. Discover the difference in true ownership and trial ownership and take a self-assessment to determine if you possess the symptoms of the real deal! The number one reason many entrepreneurial dreams fall short is based on the actions and attitudes displayed when things don’t go as planned. What happens when I fail? How do I react when I face disappointments? What can I do to get back on track? The answer to these questions can be found in an experience I encountered on my personal journey. I will give you the three concepts proven to help you get back on track should you ever stumble.